Many of those forests in northeast Indiana's rich soil were inevitably cleared for farms, and aggressive timber-harvesting practices at the end of the 19th century changed the landscape as well, Marshall said. 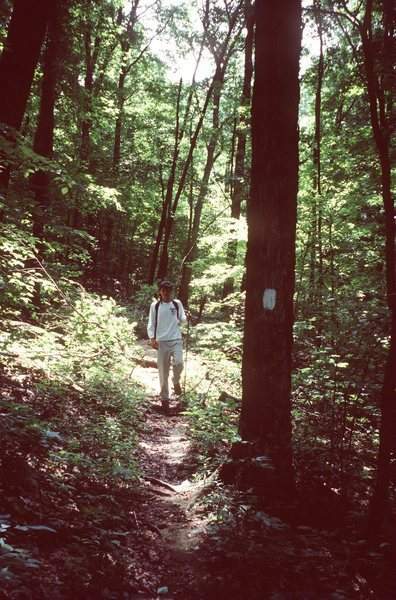 The exception is in southern Indiana, where rougher terrain made taking forests down less viable. Over the decades, a string of state and national forests and preserves has been established to protect a diversity of plants and animals. Properly caring for those natural areas is essential. Achieving the proper balance between forest management, including logging, and hands-off respect for nature is tricky. Like most experts, Marshall believes forests that used to be thinned more regularly by flooding and fires now may need some timber harvesting to thrive. The dangers of overcutting are obvious. But “if you have no change at all,” he said, “you have very few species ... plants, animals, bacteria in the soil. Marshall believes the DNR's foresters are knowledgeable and conscientious, but he wants to ensure those decisions are made without political influence. He hopes the letter from him and his fellow scientists will be “the start of the conversation” about best practices for the forests.